OK! Second try! I apologize for my poor WordPress skillz. Hola! My name is Sofía and I am a Chilena, rising senior, studying one of the acronym majors: PPE (Politics, Philosophy and Economics). It is indeed as interesting as it sounds! I’m also pursing a minor in Psychology which means I get to take the really interesting courses about the mind and why we act/think/feel the way we do. 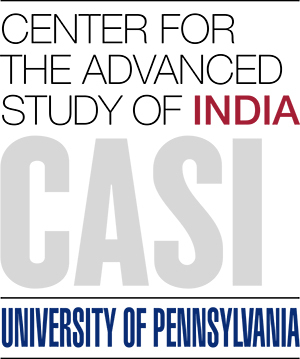 I am very excited to be part of the 2014 CASI Cohort with all it entails! I’ve been dreaming about travelling from India since a very early age. I could think of nothing farther and more different from my life in Chile. I will now spend 80 days of my life in India this Summer. I could not be more thrilled! I will be interning with Leap Skills Academy in Yamuna Nagar. My interest in education stems from my own experience teaching around the world. My dedication to this field has taken me to the coolest corners of the world: rural Chile, urban Hong Kong, West Philly, and now India! I firmly believe that education is the key that unlocks positive change and its benefits are countless. India’s pandemic illiteracy contrasted with the thriving entrepreneurial spirit I see in the Indian diaspora has always left me wondering what India could be if everyone were provided at least a minimum education level. Needless to say, it excites me to think of the potential that Indian women could have if they were granted the same rights and privileges. I hope, in some way, to affect some of this positive change even if it is at a very, very small degree. Most importantly, however, I wish to learn about the problems (that are usually common to all countries to some extent) in order come up with ideas that can mitigate them. I really do spend a lot of time reflecting on the big questions of life and wondering what I can possibly do to solve the unsolvable social issues of the world. It is with these thoughts that I travel to India. I’m prepared to be mystified, confused and also excited by what I hear, smell, and see. I don’t have a clear idea of what I will be doing or how I will be spending my time, so I do sometimes feel like I’m jumping into an abyss of the unknown. Yet, it is a leap that I am thrilled to take.